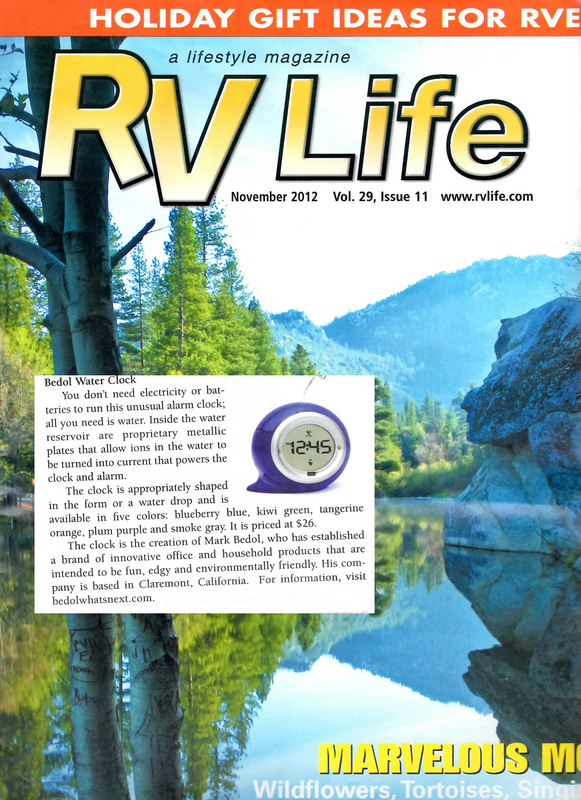 The Bedol Water Alarm Clock, Squirt, featured in RV Life’s Holiday Gift Ideas! It’s perfect for any home, even ones that are on the go. No electricity or plug in needed.